R. H. Lee’s resolution of June 7, 1776, implemented the first of these resolutions and precipitated the appointment of the committee to draw up the Declaration of Independence; the second proposal was carried out by the framing of Virginia’s first state constitution, of which this declaration was an integral part. 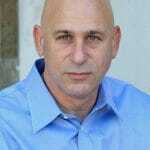 It is notable for containing an authoritative definition of the term militia in Section 13. 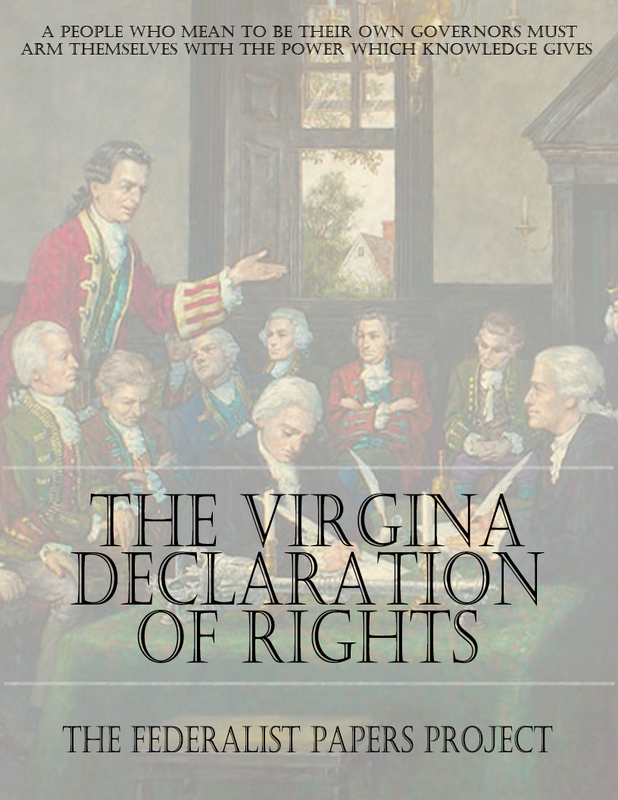 As passed, the Virginia Declaration of Rights was largely the work of George Mason; the committee and the Convention made some verbal changes and added Sections 10 and 14. This declaration served as a model for bills of rights in several other state constitutions and was a source of the French Declaration of the Rights of Man and of the Citizen, though its degree of influence upon the latter document is a highly controversial question. The reference to “property” in Section I may be compared with the use of the word by John Locke, its omission by Thomas Jefferson from the second paragraph of the Declaration of Independence, and its use in the Constitution, Amendments V and XIV. George Mason (1725-92), one of Virginia’s wealthiest planters, a neighbor and friend of Washington, is best remembered for his part in drafting the Virginia constitution of 1776. In 1787 he was a leader in the Federal Convention. 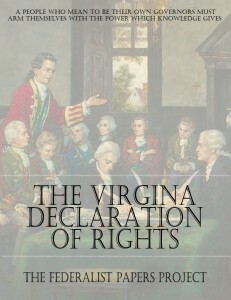 Refusing to sign the completed document, Mason, along with Patrick Henry and others, opposed its ratification in the Virginia Convention of 1788.